From our reviews, this is the ultimate list of the USB Hubs for Apple iMac computer you can buy in 2016 that all of them are working great with your iMac. Apple Inc. is a great company that manufactures a line of well-known great hardware and operate those with their own propriety operating system. The iMac is an all-in-one Macintosh desktop computers introducing since June 1998. Recent models of iMac have four USB 3.0 ports for connecting to keyboard mouse and transferring data from your devices. All of those USB ports are located on the rear of the iMac to make the front panel of the iMac look clean and beautiful. With this design is acceptable for connecting the permanent devices. However, if you want to plug-in the removable devices like a flash, external storage or digital camera it can be annoying sometimes. 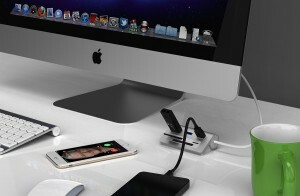 Using USB Hubs specifically for your iMac is a great idea. You will enjoy an extra number of USB ports and easy to connect your favorite devices. 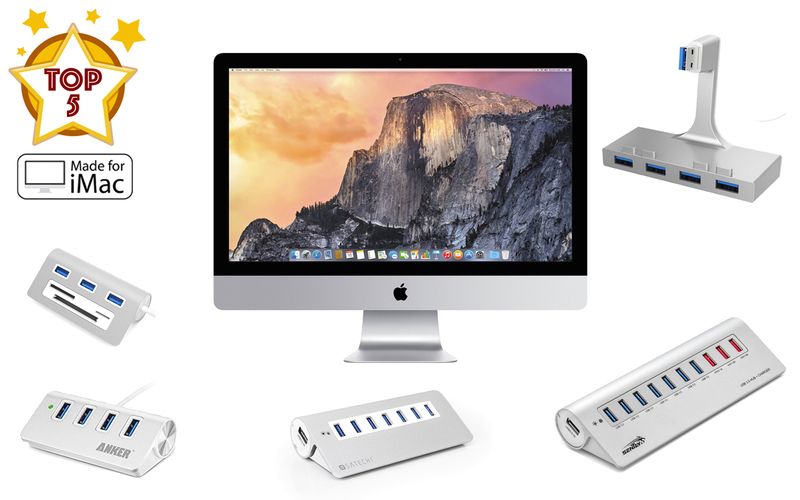 Now you can find the best USB Hubs for your Apple iMac computer. We have done a research and compiled the top 6 best USB Hubs for the iMac computer. To start with, Satechi F3 features a slim, modern design and great looks 3-in-1 solution for your iMac. 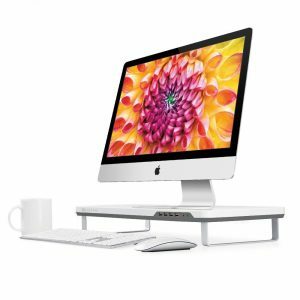 First, It is a smart monitor stand which allows you to adjust the height of your iMac display at two-presets as your preference. It is strong enough for holds the total weight of 22lbs (about 10 Kg). This Satechi F3 Smart Monitor Stand has 4 high-speed USB 3.0 ports located in front of the monitor stand. So you can plug your favorite devices with ease. It also has headphone and microphone ports next to USB ports, allows you to connect your headset. The Sabrent Premium Aluminum USB Hub is great for your iMac computer because it is designed specifically for iMac. This USB hub’s design is the best fit to your iMac slim unibody, you just plug it in and it is pretty strong docking to your iMac body. This USB hub has 4 USB 3.0 ports with super speed up to 5 Gbps or 625 MB/s. It is exclusively designed for the iMac slim aluminum unibody model released in November 2012 or later including various sizes (21 inches / 27 inches / 5K). If you are not so serious about space and want more features and usability, this Sentey Aluminum USB hub will be the great choice for you. 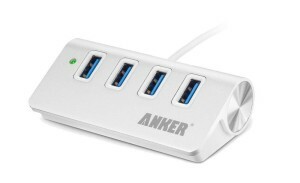 This USB hub features 10 USB 3.0 ports and 3 of those ports can be used as charging ports. One of those charging port is 1.0 A and other 2 ports are 2.1 A. You can use them to charge your phones, tablets including iPad and Samsung tablets. 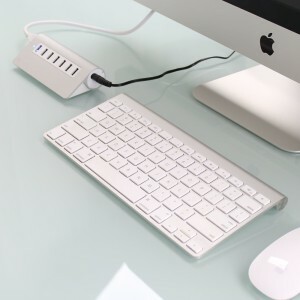 This premium aluminum USB hub by Satechi features a sleek Apple design ideal for all of your Apple computers. This hub has 7 USB 3.0 ports with super speed that can offer data transfer rates up to 5 Gbps about 10 times faster than USB 2.0. This aluminum USB 3.0 hub made by Sabrent features the multi-in-1 card reader built into the device itself. It using the bus-powered mode so you don’t need to use a power adapter for its operation. 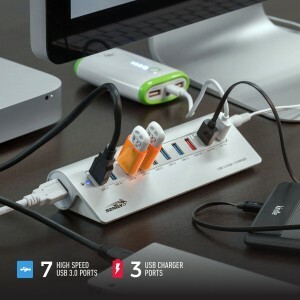 This hub has 3 USB 3.0 ports with super speed up to 5 Gbps. It’s card reader support CF, SD, SDXC, SDHC, Micro SD, MMC, and M2. If you are the Apple fan, then this Apple-style Aluminum Hub made by Anker is designed to the best compliment with your Mac Computer. Alongside within the package contents, you will also get a 2 feet USB cable and Velcro installation strip. This USB hub has 4 USB 3.0 ports with super speed up to 5 Gbps. It is not just for Mac OS X, it does support most operating system including Windows and Linux. 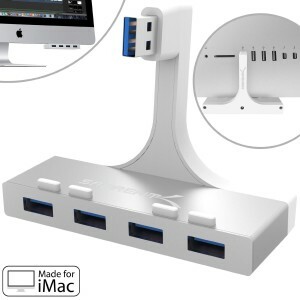 Those are the five top USB 3.0 hubs that all of them are looking great when you using it with your iMac computer. Besides the best fit for your iMac, it also maintains the super speed of 5 Gbps or 625 MB/s for your data transferring. Updated April 2018: We have updated this USB Hub list to make sure you will get only the best and latest features and functionality for your Apple iMac computer. Well, I have the Sentey and it isn’t powerful enough to run the Apple Superdrive and, since the latest iMacs running El Capitan 10.11.3 are having issues with the USB 3.0 interface and/or hubs, it’s a crap shoot to buy any USB hub at this point. Apple needs to fix the problem. USB 2.0 drives still work but, as they say, is it really rocket science for USB 3.0 to work?? Apple seems to be in denial yet, this issue appears all over their Community Support forum. Apple PLEASE fix this issue! It’s not enough that you haven’t updated Mac Pro in 3 years or your Cinema Display in 6 years—you have to leave us with a bug that won’t allow us to have consistent performance with USB 3.0 hubs! Either put more ports on your computer or fix the USB ISSUE for the love of Pete!